To make your wedding more memorable and unique, you should consider hiring a luxurious limousine. Apart from being stylish and lovely to look at, limousines also have other numerous benefits over other types of ordinary cars. The following are some of the main reasons why you should consider hiring a limousine on your big day. Considering the fact that an average limousine can comfortably accommodate up to about 12 people, the cost of hiring one is more cost-effective than riding in taxis or cabs. In addition, you don’t have to deal with stresses such as parking fees and regular fill-ups at the gas stations. Limousines offer spacious, luxurious interiors that are equipped with a wide variety of state-of-the-art amenities designed to provide the utmost comfort and relaxation throughout your ride. Apart from having and Internet access and entertainment systems such as DVD players, LED televisions, high-quality surround sound systems with theater-quality speakers, video game consoles, satellite radio and neon lights, most limos also have refrigerators to chill food and drinks, air conditioning and premium seating spaces. Once you hire a limousine, you leave all the travel arrangements to the concerned rental company. This enables you to get enough time to carry out other important duties such as arranging meetings and finalizing finer details with your wedding party. You also remove the driving burdens off your shoulders, enabling you and your partner to prepare adequately for both the wedding trip and event. Additionally, you enjoy the convenience of being picked up and dropped off right at your door step and destination. One of the many benefits of hiring a limousine for your wedding event is that there is a variety of luxury limos in different models, sizes and colors that you can choose from, meaning that you can’t miss your most favorite choice. Large limousine rental companies maintain a large fleet of limos to make sure that they meet the needs and demands of different customers in the best way possible. Unlike taxis, limousines are driven by highly skilled and licensed drivers who are trained never to exceed certain speed limits. Moreover, you can ask your driver to drive at a lower speed if you feel that he is going too fast. Limo rental services are also subjected to regular safety record inspections by relevant authorities, meaning that you are assured of being in good hands when traveling to and from your wedding. 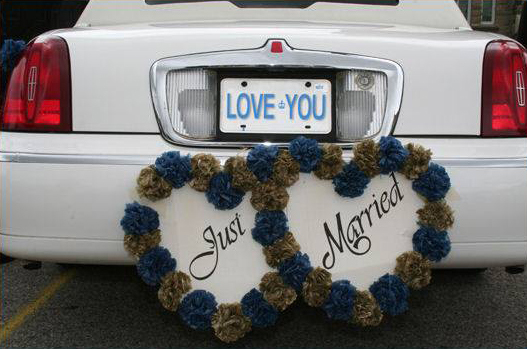 If you need the ride to your wedding venue to be calm, relaxed and private, do not hesitate to hire a limo. Most limos are tinted and soundproof, giving you the opportunity to shut the real world out for a while. Before the festivities begin, you and the love of your life can also enjoy some private time together at the back of the limo. The last thing you need on your wedding day is being stuck in heavy traffic. This may mean that you arrive late and force the event to be extended late into the evening. An experienced limo driver can easily avoid traffic by avoiding the main roads and taking alternate routes that are free of traffic.